Arizona bail bond companies generally offer free jail information on defendants incarcerated in the county jails throughout Arizona. As a general rule, most Arizona bail bond companies do a pretty good job of getting their clients accurate information. When your friend or family member gets incarcerated, it is advisable that you deal with a bondsman in obtaining information. Jail staff are overloaded by phone calls everyday, often giving the same information to several family members throughout the day. 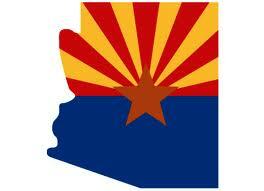 Maricopa County is broken down into two jail systems, municipal jails (police departments) and county jails. The municipal jails temporarily house inmates before moving them to the Maricopa County Jail. Municipal jails would prefer providing inmate information once to a qualified bail bond agent who in turn can explain the process and charges to family members. The bondsman knows what questions to ask and how to properly explain the charges and bail procedures. 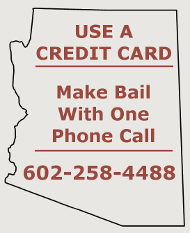 The Maricopa County Jail currently uses an automated hotline to provide routine bail bond information. If your question is not answered through the automated hotline, you can hold for an operator. Hold times can be an hour or longer as calls are answered in order of calls received. Bail bondsman can submit an inmate inquiry to jail staff via email, which when returned, provides the same basic information that the Hotline provides. The Maricopa County Jail is just too large of a system to provide spot on operator assistance. Maricopa County Bail Bonds provides free jail information to prospective clients earnestly looking for a Phoenix bail bond. Call (602) 258-4488 to obtain immediate help.